Custom﻿﻿﻿ ﻿﻿Addictions members ﻿please email Glenn at media@customaddictions.com.au if you have an event or story to share. Leaving from the Allies Pub at 9.30am for a great time at the Nitro Funny Car Drag meeting at Swan Hill. Qualifying from 11am and racing through to 7pm. We're back again! For the second year running Custom Addictions will be holding their annual Club Christmas function at Big Bendi Waterslide in Jackass Flat from 11 am. A barbeque lunch with salads will be supplied, as will drinks and water for the kids and adult drinks for the bigger kids. The waterslide will be free and open all afternoon, so bring your bikini, mankini, budgie smugglers or shorts. And a towel. And a chair. And a family. It's gonna be a good afternoon. If you still haven't had enough of us by 6pm, our Clubhouse will then be open for everone to party on through the night. No, you don't have to go home if you don't want (or can't), just roll out the swag, tent or chuck a mattress in the back of the ute. ​Hope to see everyone there! For our last cruise of 2018, we will be leaving from our Clubhouse at 9.30am and travelling up the Calder to the Inglewood Alive Festival. We've been twice before, and it just keeps getting better. For those that haven't attended previously, the organisers close off the Calder Highway through Inglewood and have a Show'n' Shine, wood chop, market stalls, food vans and kids entertainment. The next Custom Addictions Club cruise will be held on Sunday 21st of October. 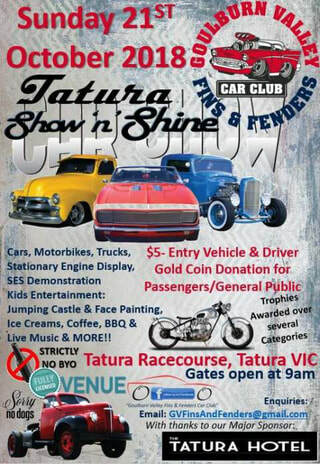 Leaving from our Clubhouse at 9.30 am, we will be cruising up to Tatura to take part in the annual "Fins and Fenders" Show 'n' Shine held at the Tatura Racecourse. There is a $5 entry which includes vehicle and driver, and a gold coin donation for passengers. 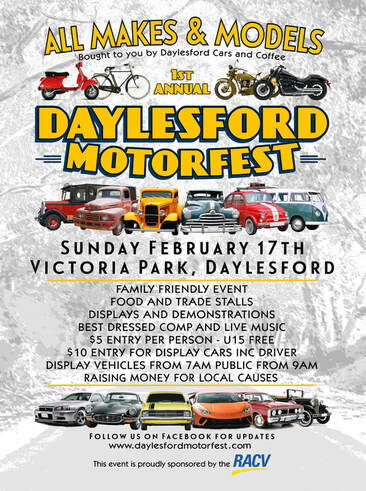 ​This will be a great family day with over 200 cars, bikes and trucks. Entertainment will include live band, markets stalls, BBQ, jumping castle, pony rides and a Grand Parade of vehicles at noon. 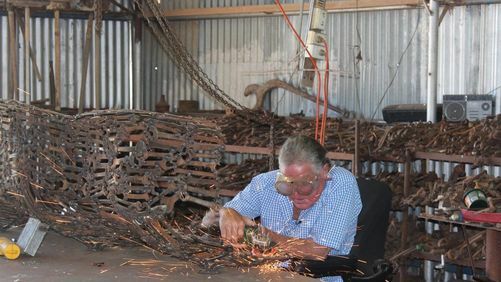 Leaving from our Clubhouse on Saturday morning at 10:15am , we will be travelling to the Railway Hotel in Boort for a relaxing lunch, before heading off to visit Piccoli's Spanner Sculptures. A garden wonderland of animals - horses, bulls, fish, mermaids and more. All larger than life, inhabiting this rambling oasis - their spectacular forms crafted from rusty brown spanners. The intricate sculptures are superbly proportioned, giving them a strangely life-like quality. ​John, the creator of this attraction has another passion, and that is birds. His garden is dotted with enclosures housing brightly coloured and often rare species. fill in the remaining afternoon. As always, thanks to the Events Guys for doing the research and planning this cruise. Leaving from our Clubhouse at 10.30, we will travel via Rushworth, Kerwins Bridge, before stopping at Nagambie for lunch. 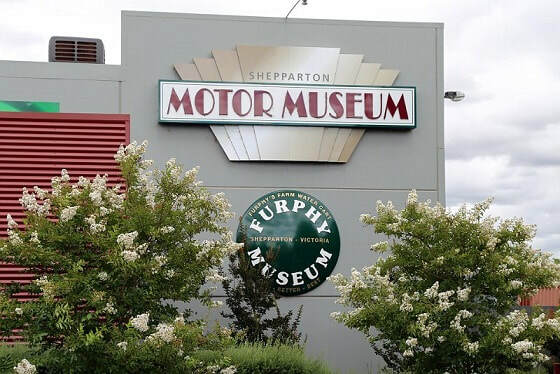 Then a quick cruise up to Shepparton to the Motor Museum. We've been here before - twice - and both times were sensational. I'm sure this visit will be no different. The venue has been expanded substantially and will be housing an amazing array of vehicles. 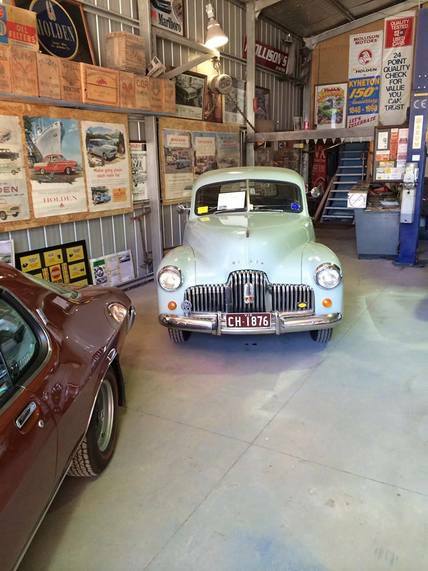 ​Leaving from the Clubhouse at 10am and travelling to Metcalfe to visit the Holden Museum. A great day had by all who attended. Thanks to the oweners Jason and Cathy Lee for their hospitality. Followed by lunch and a couple of beers at Braidies Tavern in Strathfieldsaye. Held on a Sunny Sunday (again). Well done Events Guys, another successful day. Leaving from our Clubhouse individually with instructions in hand we all cruised around Bendigo and surrounding countryside picking up up clues, taking photos and writing answers to cryptic questions. Followed by a BBQ lunch at the Clubhouse and a win by new member Keith and his family in their blue LS1 powered EH Holden. A great had by all those in attendance. Custom Addictions organised a working bee over the weekend of the 24th and 25th of March. We repaired and painted the exterior of our Clubhouse assisted by up to 35 Club members. An amazing transformation, thanks to all who attended. Our first Club Cruise of 2018 was a Poker Run held on Saturday the 3rd of February. Leaving from the Clubhouse at 10am, and heading to various locations before ending at Pratty's Patch in Maiden Gully early afternoon. A game of mobile poker was thrown in to make things interesting. A $10 fee was levied per vehicle, with Rob (yellow Monaro) having the winning poker hand taking all the cash. ​A great day had by all, with two learner drivers on their first cruise. Well done to Deano's daughter Sara in the V8 Statesman and my son Nathan in his JDM Mazda 323. Well, that's it - 2017 is over! ​and a safe and Happy New Year. Keep a look out for details on our first Club Cruise for 2018.